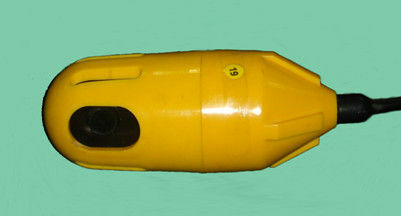 HJ-8C- II dual detector unit is used to compensate for the lack of ocean exploration P wave reception. Not only for the exploration of the sea can also be used in the transition zone of exploration. HJ-8C- II dual detector unit with two high performance super land geophone with universal structure and a piezoelectric detector is composed of. Liquid damping land inspection can guarantee the universal structure has good coupling effect and prevent outside of background noise on the land checking interference. Piezoelectric geophone with high sensitivity and 0 ~ 100m depth. A double detector unit adopts polyurethane sealing. Has a good waterproof performance. Assurance of security double detector work normally. Its unique shell protection, can avoid the double detector from outside of the impact damage. At the same time with the bandage hole can make the use of binding and submarine cable. HJ-8C- II dual detector unit land geophone can choose according to need. Can choose conventional geophone in economic efficiency, also can choose high performance super geophone small tolerance. Housing design can guarantee the unique working depth of 200 meters, but because of its use and piezoelectric geophone array, so the working depth of concrete by pressure deep electric detector working limit.